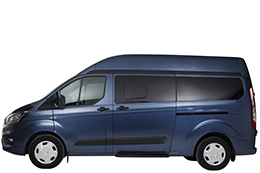 Ford’s wheelchair accessible vehicles (WAVs) are some of the most versatile and robust. 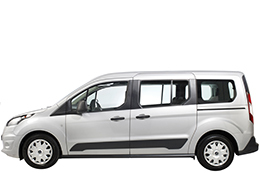 Our range of Ford WAVs have rear passenger wheelchair access and seat between two and seven people. Available to lease on the Motability Scheme with low advance payments, our friendly team of mobility experts are here to guide you through the process of finding your next WAV. This high quality vehicle has a manual folding ramp and plenty of space. This spacious WAV is ideal for families with siblings who want to sit together. With room for eight people, this versatile WAV is ideal for large families. Fitted with a lift and space for six people, this WAV suits bigger wheelchairs. 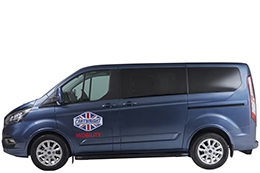 Cartwright Mobility is approved to build Ford WAVs. 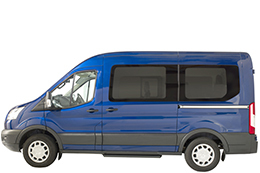 We have manufacturer-approval on the Ford Transit Custom and the Ford Tourneo Custom. Ford is satisfied that we are building to their high manufacturing standards and producing consistently high quality vehicle conversions. Ready for more information? Just complete the form below and we’ll get right back to you. A Cartwright Group Company. All Rights Reserved. Registered in England 02889260.